Many companies don’t realize that when they are short on storage space, but have land area to work with, a long term storage tent may be a very viable option for them. 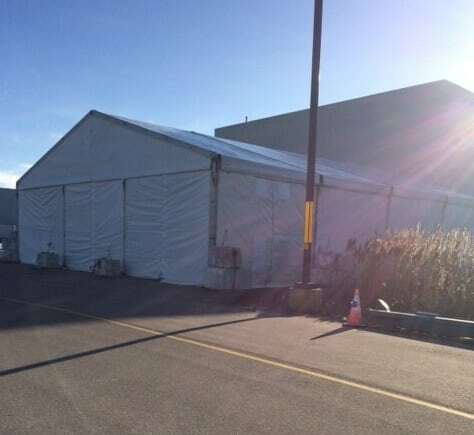 Long term tent rentals allow a company to designate extra exterior space for their storage needs whether that be for materials, equipment or even vehicles! The goal is often to keep these items dry and protected from the elements, which can prove especially beneficial during Canadian winters and the wet spring months. 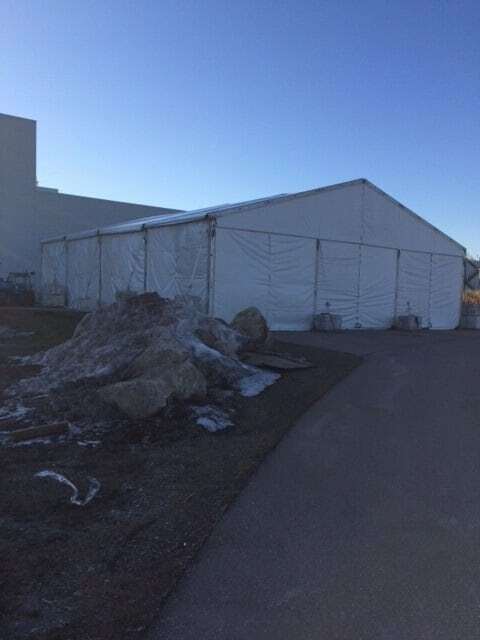 We were recently contacted by Toyota to build a long term storage tent at their Cambridge manufacturing facility. We’ve put this tent up for them in years past, and they needed it again to protect their inventory. They opted to use a 15m x 20m x 4m Clearspan tent which is anchored with concrete weights as we cannot stake tents into the ground on their facility grounds. 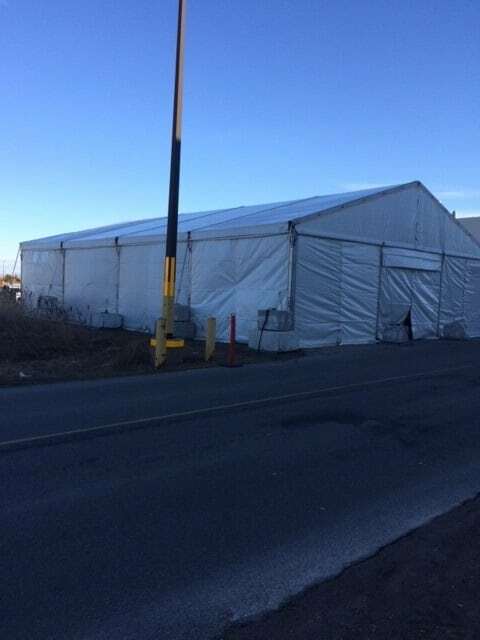 This tent will be heated through the winter months to ensure that no snow accumulates on the roof during inclement weather, after which time the heating system will be removed. There are so many options when it comes to long term tents, and there are ways that Regal Tent can make these structures as winter-ready as possible for you. While our tents are not snow-loaded, we use a combination of double purlins in the roof, stronger, thicker frame and extra ballast to ensure that they are as strong as possible, and in combination with a proper heating system, this is more than enough to withstand inclement weather. If you have an upcoming winter project, or are in the market for a long term storage solution we’d love to hear from you! Click here to contact us directly and we will work together to brainstorm a solution for your needs!